Kawasaki Kisen Kaisha, Ltd., Mitsui O.S.K. 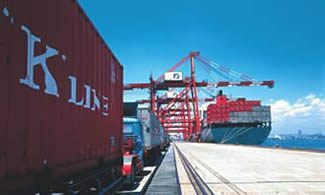 Lines, Ltd., and Nippon Yusen Kabushiki Kaisha have announced that their new joint venture company, Ocean Network Express Pte. Ltd., established in July 2017, has received all necessary merger approvals from local competition authorities in regions and countries where such approvals are required for the launch of service by the newly established joint venture company. As announced on July 2017, the J/V company had completed the approval process in all regions and countries except South Africa as of the end of June 2017. Following continued negotiations with the competition authority in that country, the J/V company today obtained approval with conditions requiring measures regarding competition law compliance. The service commencement schedule for the new company remains unchanged, with operations scheduled to begin on April 1, 2018.